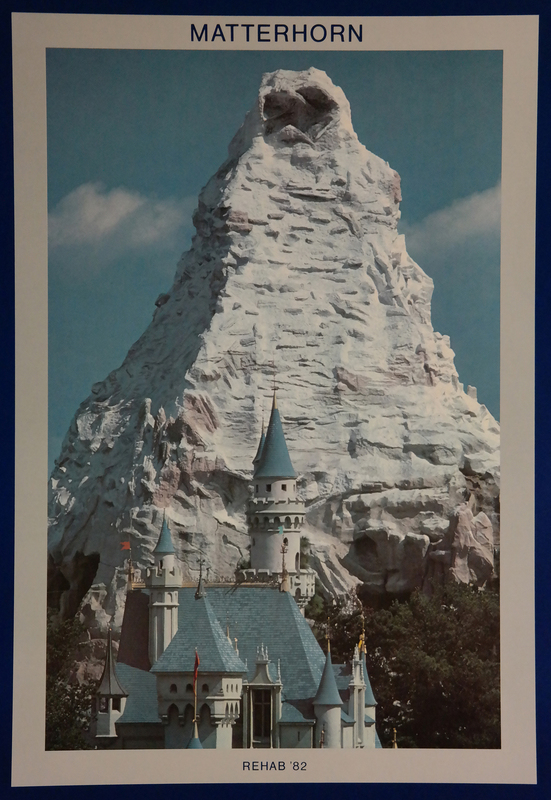 This is a poster created in 1982 in honor of some refurbishments made to the Disneyland Matterhorn attraction. This poster was internal for employees and not distributed to the public. The poster measures 24" x 18" overall and the image area measures about 17.5" x 12". 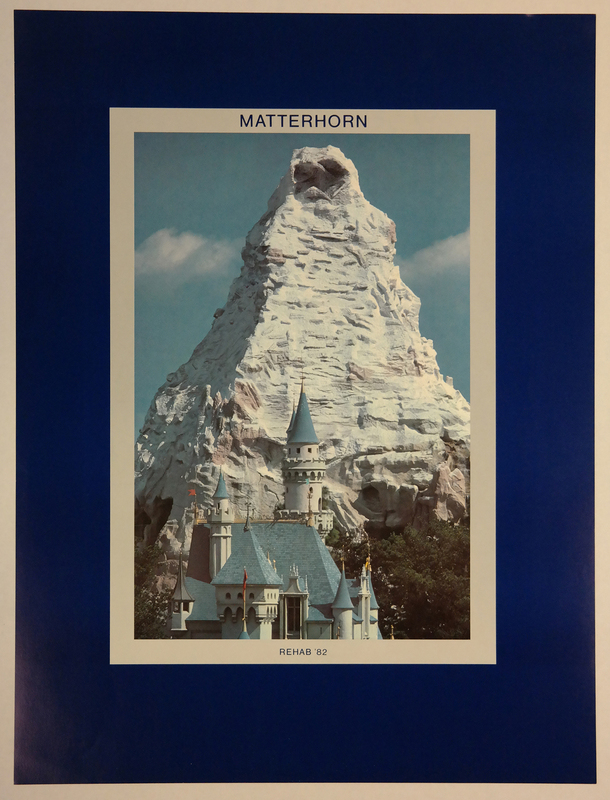 The poster has been stored flat and is in good condition with some denting to the lower left corner, and it will ship rolled in a sturdy tube to ensure safe and economical shipping.